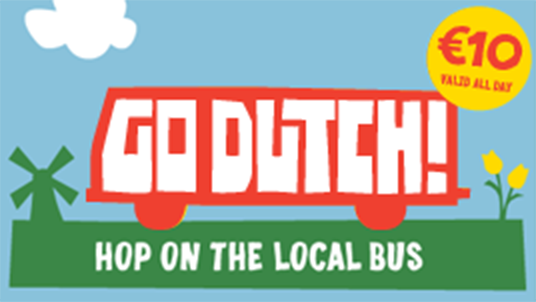 Head out into the Dutch countryside on one of Holland’s loveliest bus routes, taken by local Amsterdammers every day. 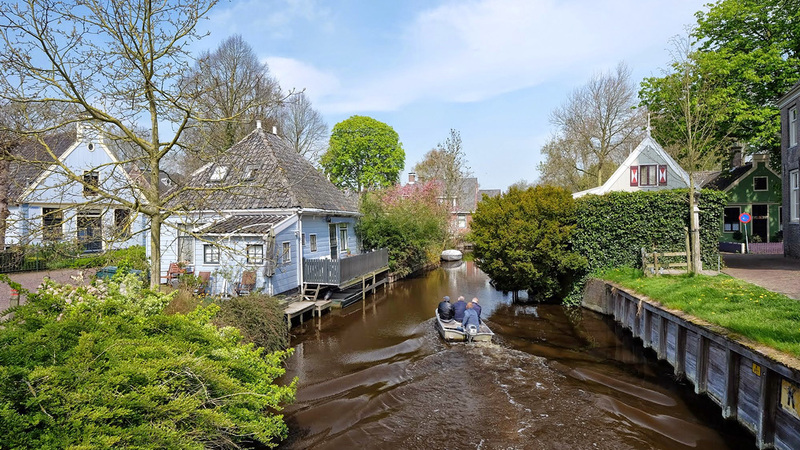 In just minutes, you’ll find yourself riding along century-old dikes, eating pancakes in tiny villages and boating past the homes of Holland’s 17th century rich and famous. We’ve mapped out a few inspiring tours – but feel free to create your own local experience! If you coming from the city center, walk all the way through the station past track 14/15 into the hallway at the rear side. There you find at the bottom of the escalator the Public Transport Ticket shop. Buy your ticket and go up the stairs to your left, there you’ll see the red EBS buses. It’s easy to travel to Amsterdam Country side for only 9 euro’s a day. Get 10% discount if you buy here online. The tickets are available for download immediately after payment. If you coming from the city center, walk all the way through the station past track 14/15 into the hallway at the rear side. There you find at the bottom of the escalator the Public Transport Ticket shop. All the information you need to travel like a local! By using this application you can travel independently without any time limit, our buses depart several times an hour! The routes below are suggestions for 6, 7 or 8 hour tours. 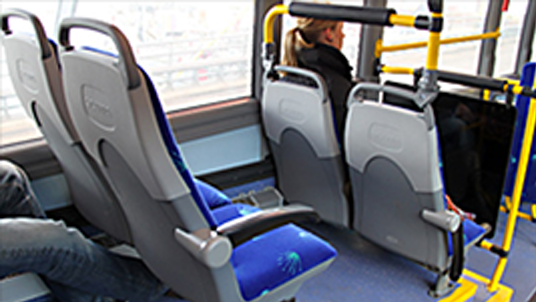 The LocalBus tickets is valid for all three routes and it is possible to create custom combinations of stops yourself. A 6-hour route that takes you from quaint villages to a former island. Broek in Waterland looks like a postcard, but it’s real! 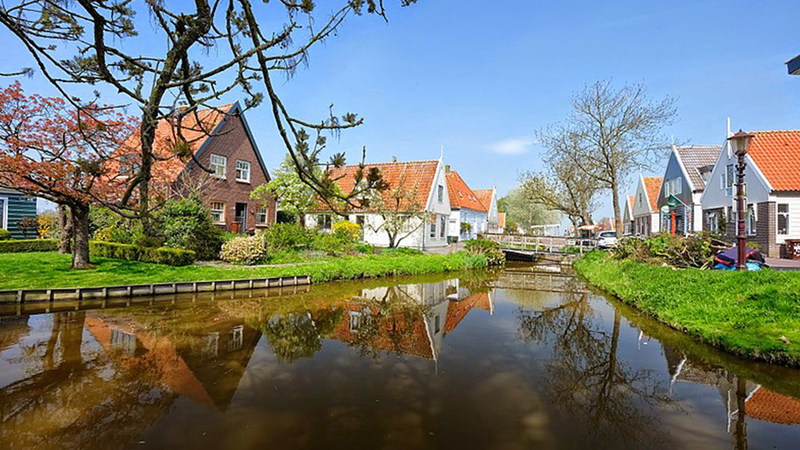 This picturesque village is just ±20 minutes from Amsterdam Central Station. No wonder so many famous rich 17th & 18th century merchants and seafarers built their home there. Marken was an island in the middle of the Zuyder Zee until 1957. Today it is connected to the mainland by a dike – with its little wooden houses snuggled together on the former island. 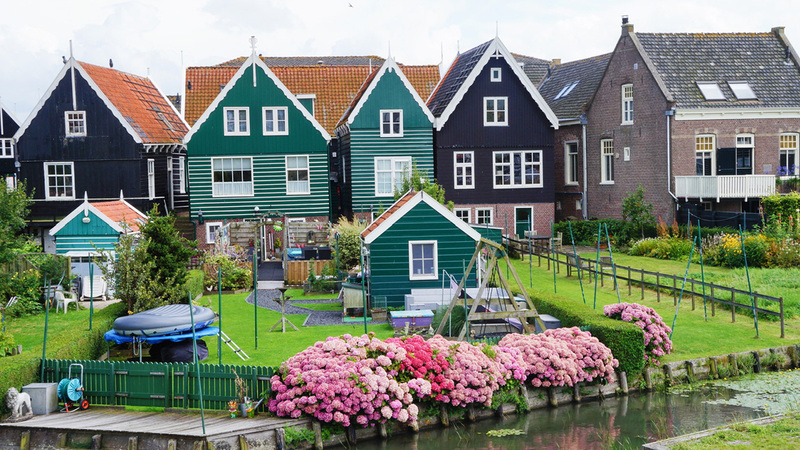 Monnickendam is ideal for exploring on your own – with cute cafes, historic sites and nice shops. A 7-hour route to heart of the lowlands – for a true taste of Holland, without the tourist crowds. Including a visit to 2 UNESCO World Heritage Sites. Just outside Amsterdam you’ll find the lovely Graft-De Rijp. Actually, they are 2 small villages joined together as a municipality. In the 17th century, when de Rijp was still connected to the Zuyder Zee, it was famous for hemp (for rope making) fishing and whale hunting. Middenbeemster is one of the towns that make up the municipality of De Beemster. The area is also part of the Defense Line of Amsterdam – a ring of 42 forts built in the 19th century to protect the city of Amsterdam. Purmerend is a great combination of modern and traditional Holland. For travel information you can call 0900 – 9292. For tickets and personal advice you can go to the Public Transport Ticket shop. We are open 7 days a week: from Monday to Friday from 9.00 am tot 6.00 pm, Saturday and Sunday from 9.00 am to 5.00 pm. 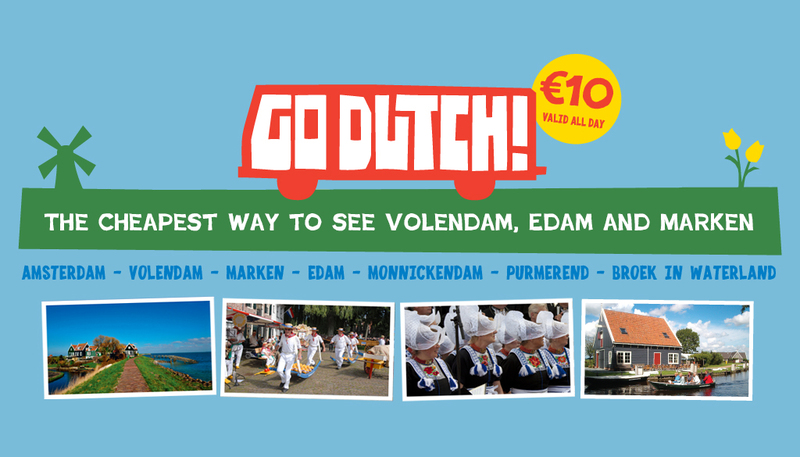 At our ticket office you can also buy tickets for the boat to Volendam, “The Volendam-MarkenExpress”. 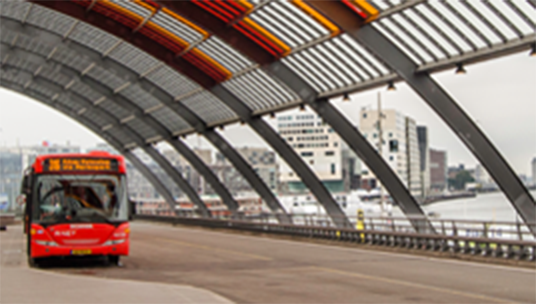 EBS is a relatively new Dutch public transport company, with a focus on the Amsterdam region that the locals call Waterland. And though we are new, we arrived here with lots of experience. So you can count on knowledgeable and friendly drivers who know their routes – and are happy to help you get the most out of your holiday experience. On time, and in style. EBS buses are modern, and arrive as scheduled. Enjoy the scenery from your comfortable seat – with extra legroom. All buses offer free WiFi. And to help keep Waterland beautiful, our buses ride with environmentally-friendly engines. As you enter the bus, say hi to your driver! Feel free to ask them questions – and to let you know when your stop is coming up. And because you’re traveling like a local, you’ll meet new people and see the real sites of Holland. Enjoy! Follow your own route – or take one of ours! A ticket for a full day on an EBS bus costs just €10.